Even simpler design this time. Decided to bring it closer to the ground to decrease the amount of lumber needed. 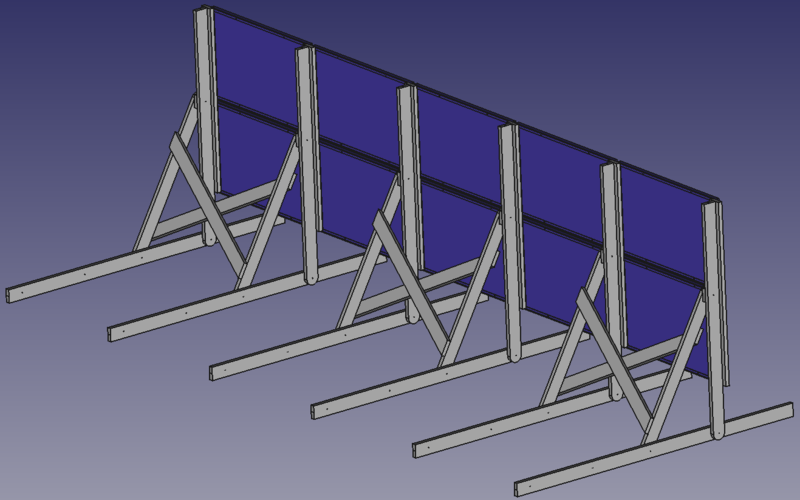 For ten 1.0x1.6 meter panels this design needs 74 meters of 45x145 mm lumber, at a cost of 1840 SEK (210 USD). Making a 45x95 mm variant shouldn't be too hard, but 45x145 is what I have in my barn.